Global technology and manufacturing giant Honeywell has expanded its Australian and New Zealand reseller network by 34% to bring its cutting edge scanning and mobility solutions closer to customers in the collection and delivery, healthcare, field workforce, ports, postal and retail sectors. The Honeywell Scanning & Mobility division has been spearheading the automatic identification and data capture (AIDC) industry for more than 40 years, with its resellers and customers having access to a rapidly expanding range of solutions to help customers’ optimise their business operations. The company’s focus on operating systems, tailored to ensure the life cycle of a technology deployment is future-proofed, also saw its resellers and customers gain access to a rapidly expanding range of solutions that meet varying business needs. Honeywell’s collaboration with Apple and Microsoft has enabled the company to integrate enterprise sleds with barcode capabilities for iOS devices for the retail landscape and to make its mobility devices compatible with the Windows Embedded 8.1 platform so they can work in sync with wider enterprise systems. 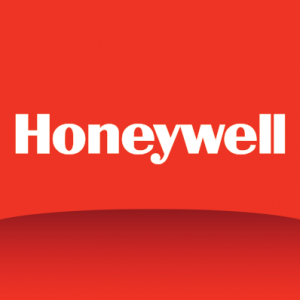 Honeywell’s recent additions to its reseller network include GPK Group, Pty Ltd., Think Wireless Ltd., Store Innovation Ltd., and POS 99 Pty Ltd. The company also demonstrated its commitment to strengthening partnerships with its growing reseller network through the launch of a new rewards program – The Biggest Game in Town – which offers resellers the opportunity to win a number of prizes, including a trip for two to New York. “I would like to thank all our resellers for commitment they have shown in partnering with Honeywell to help meet the needs and improve customer workflow processes,” said Mr Tony Repaci, country manager, ANZ, for Honeywell Scanning & Mobility.